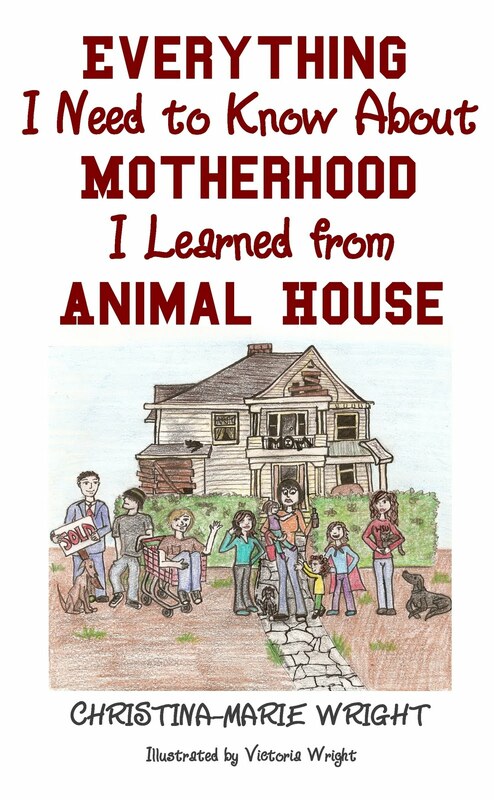 Dave Peckham, Christian writer and author of several books (including "Shepherd Warrior," cover image to left), reviewed "Everything I Need to Know About Motherhood I Learned from Animal House!" Christina-Marie Wright's collection of essays and musings on motherhood and parenting is a perfect blend of humor and real life happenings. Her recounting of emotions - frustration, happiness, sorrow, doubt and pride in her unplanned family, is a joy to read. No subject is taboo and includes very personal situations in both her and, dare I say, her cooperative husband's lives. Christina-Marie is a talented writer with the rare ability of stating the obvious while creating an environment of surprise and laughter for her readers which, I predict, will be many. Swing by Dave's site and give him a shout!